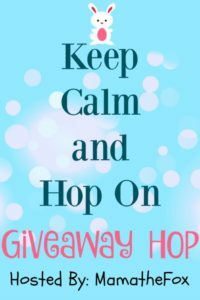 Keep Calm and Hop On Giveaway Hop – Escape Reality, Read Fiction! First of all, Happy Valentine’s Day. I have presents for you! But there’s more than just those Grand Prizes. 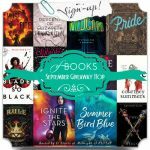 I’m giving away my winner’s choice of a $10 Amazon Gift Card or a $10 Book from The Book Depository. I like Valentine’s Day as the grandkids and I do lots of fun crafting and baking. I like the fact that Valentine’s Day is the time of the year when everyone gets together and expresses feeling of peace and goodwill! I like that it promotes, at least, one day for love. I like that it is one day of promoting love. What I like most about Valentine’s is being pampered by my husband! The caring, sweetness, love and kindness. I love the tender feelings and love that surrounds the day. Whether it’s a mate, children or grandchildren. And I love the chocolates. I don’t like that it’s focused on romantic love because that excludes a lot of people. But I am all for celebrating love! I like helping my granddaughter make Valentine cards for her class. We had so much fun last night making them. I like doing something fun with my boyfriend. I like that we go out to eat at a nice restaurant, we get to dress up! I do like the opportunity to express my love and appreciation for all of the special people in my life; however, I hate all the excessive hype and pressure. The best thing is the chocolate. Thanks. I like decorating for Valentine’s Day. Valentine’s Day is special to me because it makes it easier for my husband to show his feelings for me. I like eating chocolate. : ) I also like buying it on Feb 15th, when it is marked down….. ha! I don’t like all the candy. I like the chocolate and the flowers! What I like least is the sad memories of my dad’s funeral on Valentine’s day 1985. Valentine’s Day doesn’t bother me since I do not celebrate this event although it’s nice to see vendors selling roses at every corner. DH and I spend the day together, he plays hookie from work and we just hang out. It’s wonderful! I like the candy and sweets! I love history and one of the things I hate most about Valentines Day is that it used to be a time for mean and rude cards and notes to be sent to people. No matter how many good Valentines Days I have I can’t seem to forget that. I don’t like the implied obligation of gift giving. Drives me bonkers. 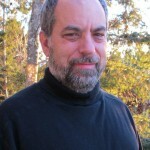 I love spending the evening with my husband. I love that it is always a good reminder that we should be showing our love every day of the year. Never really was into Valentine’s Day even when I had a boyfriend/husband. Did like seeing the kids have fun making valentines for school. I like the discounted chocolates the day after! Spending time with my husband is my favorite thing. I like that it’s a day about love. I like it that men appreciate their wives and acknowledge them. What do you like most (or least!) about Valentine’s Day? I like the fact that everyone seems to be happy on this day. Everyone is talking about their loved ones and going out to dinner and getting and giving flowers. It just seems to be one happy day!! I like that it reminds people to show love to the ones they love. Like candy, not big on romancy junk everywhere. I like that it is a day to celebrate those we love. I don’t like that it is just one day a year. Really should be a daily occurrence. Well, no girlfriend/wife here so there’s that. But i did have a great evening with my kids and they know i love them. We don’t really celebrate Valentine’s Day. I don’t need a special day just to show my husband that I love him. We show each other every day! I like that the kids have fun and parties at school, I get to help out. My favorite part of Valentine’s Day is those Reese’s hearts. Love that peanut butter treat. I get a reason to eat chocolates all day and I usually get pretty flowers. I love going to my kids’ parties at school! I love all the beautiful flowers. i love the chocolate and candy! This is the day that people show love to one another.Hearts are for Valentines Day. WHile I like going out to eat, I don’t like all how expensive the restaurant “deals” are for Valentine’s. I love spending the evening alone with my husband. Oh…a great time to remember those we love and do something special for them! I like that everyone shows extra love that day. I have a love hate relationship with the candy. The chocolate. Thanks for the giveaway! Edye recently posted..Ink My Stich Review & International Giveaway! I like celebrating love on Valentine’s Day. I love the chocolate covered strawberries! Didn’t get any this year, but I still love them! I love spending time with my family and the candy. I mlike all the Valentine’s Day chocolates, and I likenthem twice as much when I buy them on the 15th. I like going to my favorite restaurant with my husband. I like going out with my family and celebrating Valentine’s day with them. I like expressing my love with the special man in my life. We aren’t too crazy about Valentine’s though since our anniversary is also in the same month. 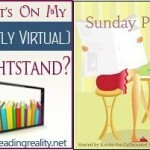 Pingback: The Sunday Post AKA What’s on my (Mostly Virtual) Nightstand 2-19-16 – Escape Reality, Read Fiction! I love how mushy I can be on Valentine’s Day. I love the extra bit of pampering I get on Valentine’s Day. I like any chance to spoil my loved ones. I like getting some dark chocolate. Valentine’s day is okay. I do like to spend time with my husband, but this year I wasn’t able to. Brooke Allen recently posted..Enter to Win a $200 Nordstrom Gift Card! I like surprising my kids with Valentine notes. It doesn’t really make a difference to me either way. When I was younger it was fun to plan things to do with my husband. I don’t make a big deal of this day. I enjoy the fun, the chocolates. I hope that people take time out more often than once a year to tell the people in their life how much they mean to them. Thanks for giving. Besos Sarah. I love having a special dinner with my husband and kiddos. Then we cuddle up on the couch under lots of fluffy blankets to watch movies together. I like that it was our 43rd Valentine’s Day together….Love Is Grand! I’ve never ever had a significant other so Valentine’s Day doesn’t really mean much to me. My favorite part of valentines day is baking or crafting with my daughter. I like half-price candy on Feb 15th. I like the candy sales the day after. (I’m eating some right now). ..just the chance to show those you love how much you care. I enjoy baking and making cards with my kids. I like children’s hand made Valentines, lovingly and imperfectly made by themselves. I am not a fan of Valentine’s Day. I think it’s stupid that you are expected to buy flowers, jewelry, and candy for your loved one and take them out to dinner. My husband and I don’t even get each other presents, we just go out for a nice dinner (on a day other than the actual holiday) and celebrate our love in our own way. I like the traditions I have with my kids and grandkids. I like least about Valentine’s Day being alone. 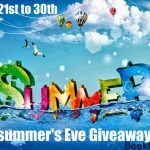 Pingback: The Sunday Post AKA What’s on my (Mostly Virtual) Nightstand 2-26-16 – Escape Reality, Read Fiction! What I like the most about Valentine’s Day is we always get a ton of seafood and make our own big seafood pots like you get at Joe’s Crab Shack. Now that I’m finally Married, I love having a sweet hubby to celebrate it with. Thanks and God Bless! I love getting the flowers and cards from my husband and kids! I love that candy and flowers are 50% off the day after. Chocolate is my favorite thing about Valentine’s Day. I like the candy the best! I like going out to dinner with my sweetie. I love that it is a celebration of all kinds of love!! I dislike all the commercialism that goes with valentines day. I don’t like Valentine’s Day because it’’s a completely manufactured celebration. It is the only time I can get cinnamon hearts. I like the commercialism of Valentine’s Day least. I love the sweets that Valentine’s Day brings. i like making valentines for my kids. I like that I get flowers. If not for Valentine’s day, my husband would never get me flowers ;). I like that my husband and I go out to eat on Valentine’s. Showing how much I love my husband. I like the candy most. You can never go wrong with some good chocolates. I love all the candy that walmart has during valentines day.